We already know that Android N is bringing editable Quick Settings into the main UI after it got a test run in Android 6.0's system UI tuner. Now, the second developer preview has added a new Quick Settings tile to the interface—the calculator. Can you guess what it does? Yep, it opens the calculator. You can add the tile by opening the editing interface in Quick Settings. Simply drag and drop the calculator tile, and you're all set. 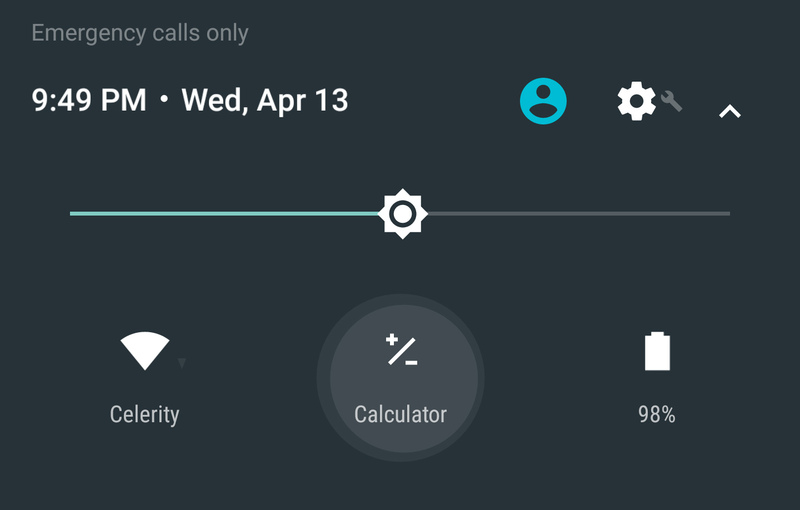 Tapping it closes quick settings and opens the calculator app. It would be nice if this tile opened a basic calculator inside the quick settings a la the data usage meter in Marshmallow, but the shortcut is alright too. When the final build comes out, developers will have the option of building Quick Settings tiles for their apps. Although, I should point out that Google's own development guidelines say tiles "should not be used as shortcuts to launching an app." I guess that doesn't apply to Google. 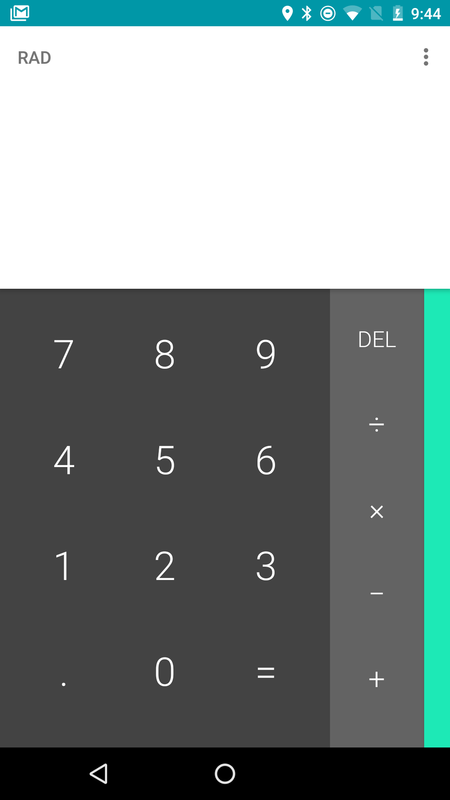 On your lockscreen, drop down the quick settings and tap the new calculator tile (if you've already added it). The calculator will open up even though your device remains locked. Open the calculator app on your phone. Lock the screen then turn it back on again. You'll see the calculator instead of the lockscreen and you can use it normally without unlocking. 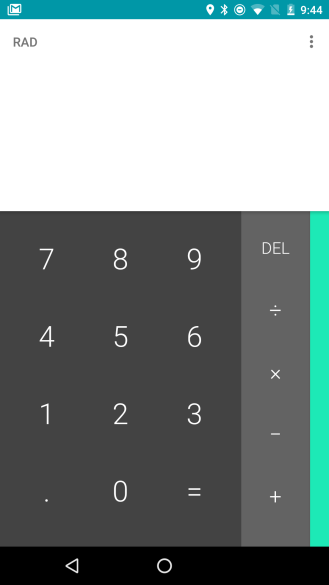 This should make it easier to do quick calculations without unlocking your device or to continue using the calculator without bothering to unlock if you're intermittently turning your phone off and on. Thanks Reverb.